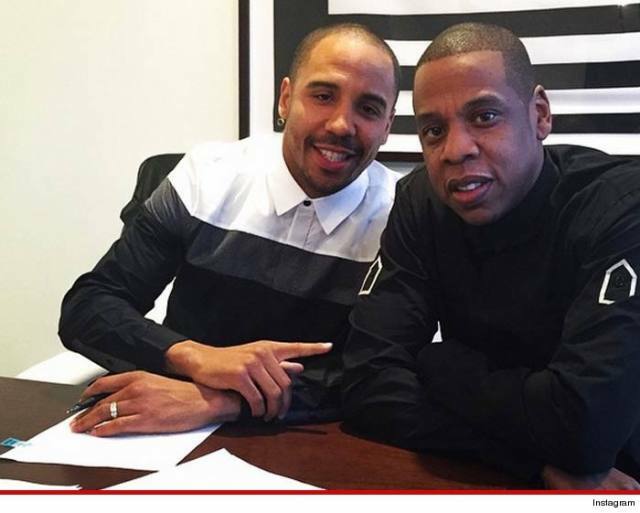 The man of many talents and even more wealth, Jay Z (real name Shawn Carter), has become a boxing promoter and the first acquisition for his Roc Nation stable is super middleweight great (cough, cough), Andre Ward. There was a nice picture posted on social media by Ward. Ward, who won the super six super middleweight tournament a few years ago and has an undefeated record of (27-0, 14 KO’s), has not been in a boxing event since November 2013, will make his long awaited return to the ring for the first time under a new promotional banner. His longtime promoter, Dan Goossen, whom Ward was suing for breach of contract, suddenly died this past October of cancer at the age of 64. It remains to be seen if Jay Z, Roc Nation, and Andre Ward will be part of HBO Boxing, Showtime Boxing, or ESPN Boxing, but we can expect there to be a long list of pro boxers anxious to face the super middleweight king. Boxers such as Gennady Golovkin, Sergey Kovalev, Julio Cesar Chavez Jr., and even Bernard Hopkins are just a few names. Andre Ward better get into prime shape and get that boxing gear ready for his next fight as he’s going to be a major target. Boxing fans will be in for a real treat if any of the aforementioned fighters is able to secure a fight with the former Olympic gold medalist. Do you believe Ward will have any ring rust? How would he fare if he were to move up one weight class to face Sergey Kovalev?